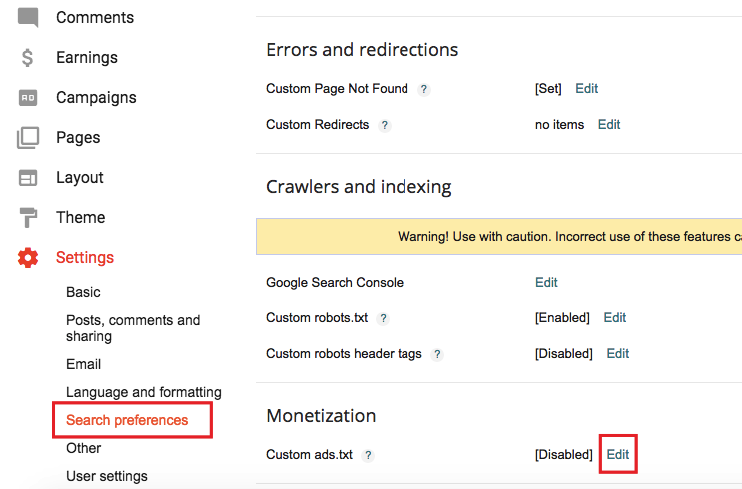 Good day everyone, Droidmod Team is here today to help all bloggers to fix this latest Adsense error which surface with the statement that says "Earnings at risk: one or more of your ads.txt files doesn't contain your Adsense publisher id. Fix this to avoid severe impact to your revenue ". If you have seen this error in your Adsense please ignore it not all else your Adsense will be suspended. steps to upload ads.txt file into blogger. Now you know what it means, I strongly believe you can now understand why you need to get it fixed. 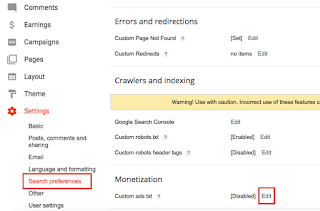 Steps to add Ads.txt file to Blogger. 3. Then scroll down and you will find Monetization option over there. 6. Then click on save. To authorize Google Adsense please follow the below format in your ads.txt file. Make sure to change pub-xxxxxxxxxxxxxxx with your publisher id. Now you have successfully uploaded the ads.txt file to your blogger blog. To verify open your website by adding ads.txt at the end. To locate your publisher ID, simply open any of your ad code and you will see it. Hope it's helpful? Enjoy and don't forget to share with friends.